All the Places You Can Be Close To!! Country Club Lakes, in Jacksonville, Florida is located on Hodges Boulevard just ten short minutes from the Atlantic coast and beaches, and conveniently located near the University of North Florida. Newly renovated apartment homes feature new countertops, Whirlpool appliances and contemporary lighting. Country Club Lakes is situated in A-rated school districts and is in the middle of the area’s most sophisticated shopping and dining mere minutes away at St. John’s Town Center. Take a closer look today. You’ll love what you see. 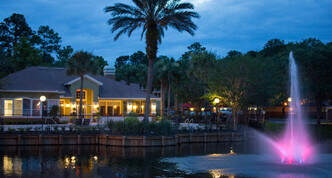 Country Club Lakes is located at 4090 Hodges Blvd. Jacksonville, FL 32224. Driving East on Bulter Blvd., exit on Hodges Blvd. and travel north about one mile. Country Club Lakes will be located on the left side of Hodges Blvd. just after the intersection of Chets Creek Blvd. © Copyright 2019 Country Club Lakes. All rights reserved. Equal Housing Opportunity Provider.